Hi there, I have a sweet and easy to create card to share with you today. The other day I received in the mail a gorgeous Spellbinders die and I was so inspired by the beauty of this die set that I was ready to create with it ASAP. 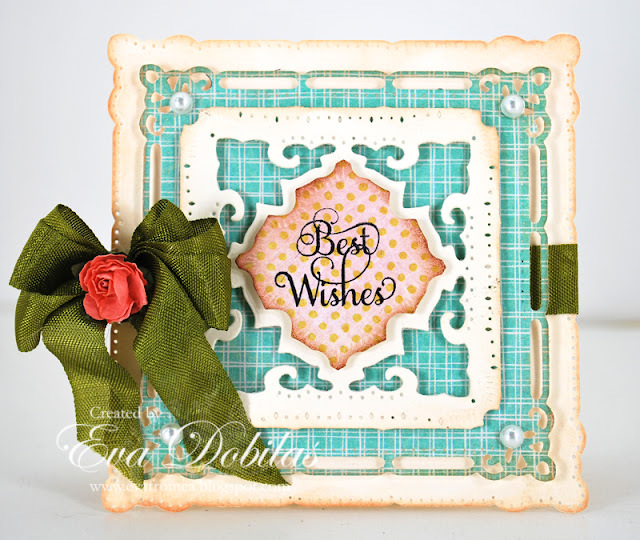 The die set I am talking about is called Spellbinders Marvelous Squares. 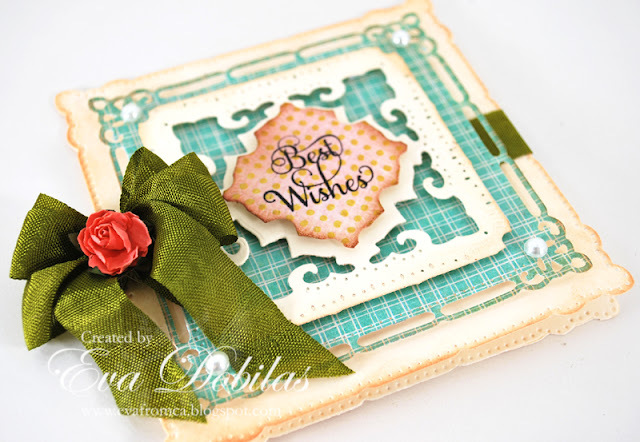 Here is what I created with the dies using Basic Grey papers and JustRite Papercrafts Ever After Antique Labels stamps. And let me show you what this Spellbinders Marvelous Squares looks like, in case you haven't seen it. So many layering possibilities, right? Well, that is it for today. Hope you check out Scrap-mart for all your crafty needs. I am off for a weekend seminar in Palm Springs, which is starting tonight, and I am pretty excited about that! Wishing you a wonderful early weekend!